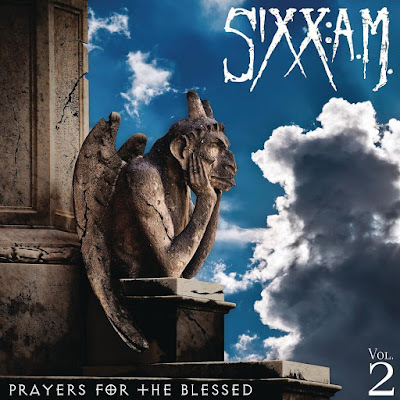 SixxAM are streaming their new album, “Prayers For The Blessed”, as the record sees its official release today. The group’s fifth album marks their second project issued in 2016, and is billed as a companion to “Prayers For The Damned”, which was issued this past spring ahead of a planned two-year touring cycle. “Prayers For The Damned, Vol. 1.” debuted on the US Billboard 200 at No. 19 this past spring. Sixx:AM are currently playing dates on a fall US tour headlined by Five Finger Death Punch and Shinedown alongside openers As Lions.